Tyler Burrell’s illnesses have robbed her of so much, including the sport she loves. But she’s made one thing clear: She will prevail. Burrell’s body used to be just as active. She’s had to slow down in recent years, thanks to a trio of complex chronic illnesses that have affected everything from her joints to her blood pressure to her gastrointestinal tract, making it mighty difficult to undergo any kind of strenuous activity—or even leave the house. “I wouldn’t exactly call my social life thriving,” she jokes. Burrell wants to spread awareness—“I’m all about advocacy,” she says—so she’s revealing what it’s like to live with the conditions that changed her life and affect so many others. Whether you’re a patient or caregiver, here’s what you need to know about people with chronic illnesses. From age 9 to 16, Burrell spent the majority of her days in pools, channeling her inner Natalie Coughlin to swim competitively with the Southern Crescent Aquatic Team, a year-round club near her hometown of Fayetteville, Georgia. That’s when Burrell and her mom, Heather, realized they’d been looking at each of her injuries as individual ailments—not pieces of a larger puzzle. Soon enough, Burrell would be given her first diagnosis. But despite the clarity that would eventually come, she still hasn’t been able to resume the sport she loves. Burrell saw doctor after doctor and was given test after test, but they all fed her line after line: Oh, this is just from swimming. You just have loose joints. It’s nothing serious. The worst one? It’s all in your head. Burrell was exhausted and insulted. She wasn’t. In 2016, a rheumatologist in Atlanta referred her to a geneticist at Emory University in Georgia, who gave Burrell her Eureka diagnosis. 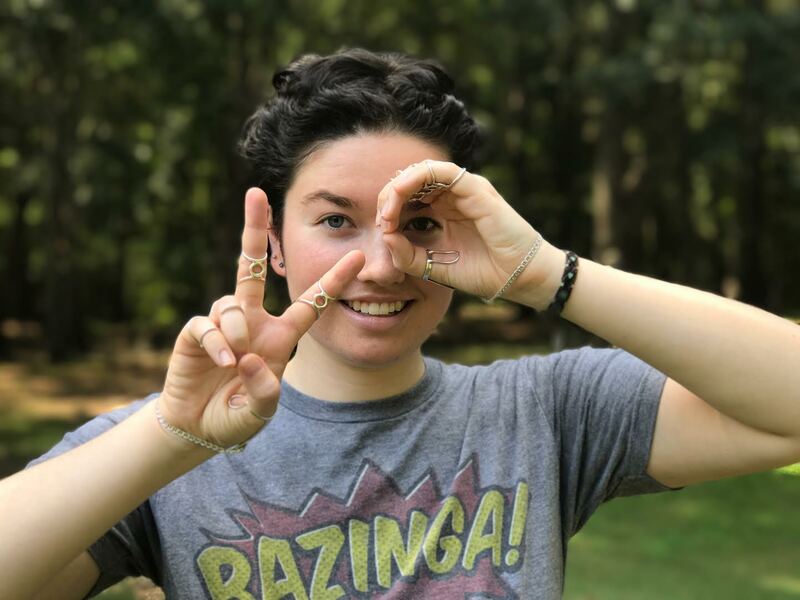 Turns out her myriad symptoms were the result of Ehlers-Danlos syndromes (EDS), a genetic connective tissue disorder that stems from a lack of collagen in the body. More specifically, she has the “hypermobility” subtype, which typically manifests in spontaneous joint dislocations. Unfortunately, Burrell soon learned that because EDS is a rare genetic disorder, not a lot of research has been done on it—and therefore, not many proven treatments exist. But in the spring of 2017, Burrell’s symptoms started flaring again. The joint pain from her EDS was becoming too much to bear on a day-to-day basis, and her frequent falls and blackouts (courtesy of POTS) led her to decide to take a medical leave. 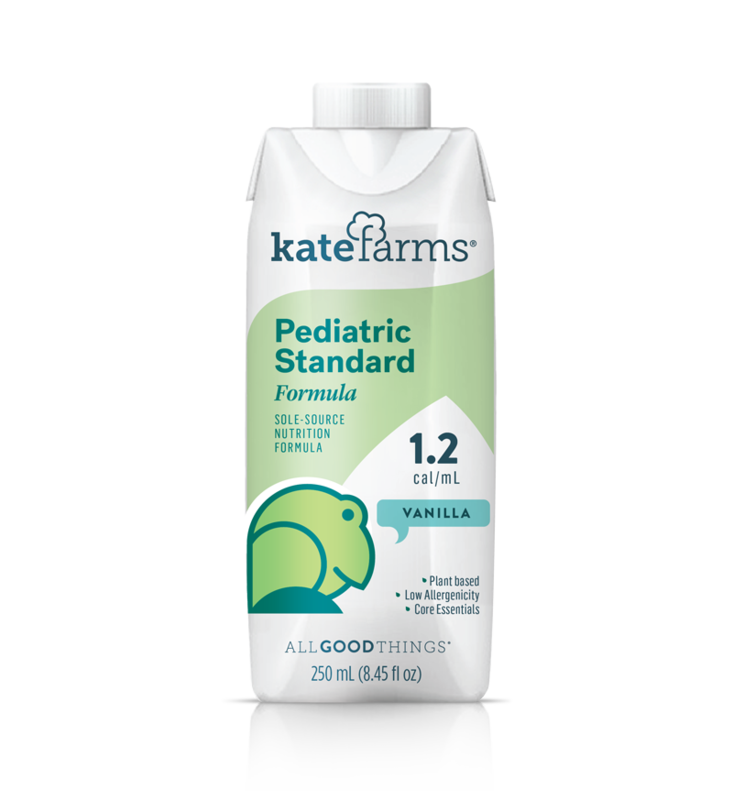 And as bad luck would have it, that’s when she began having major gastrointestinal issues that went from “kind of weird to very bad, very quickly,” she says. 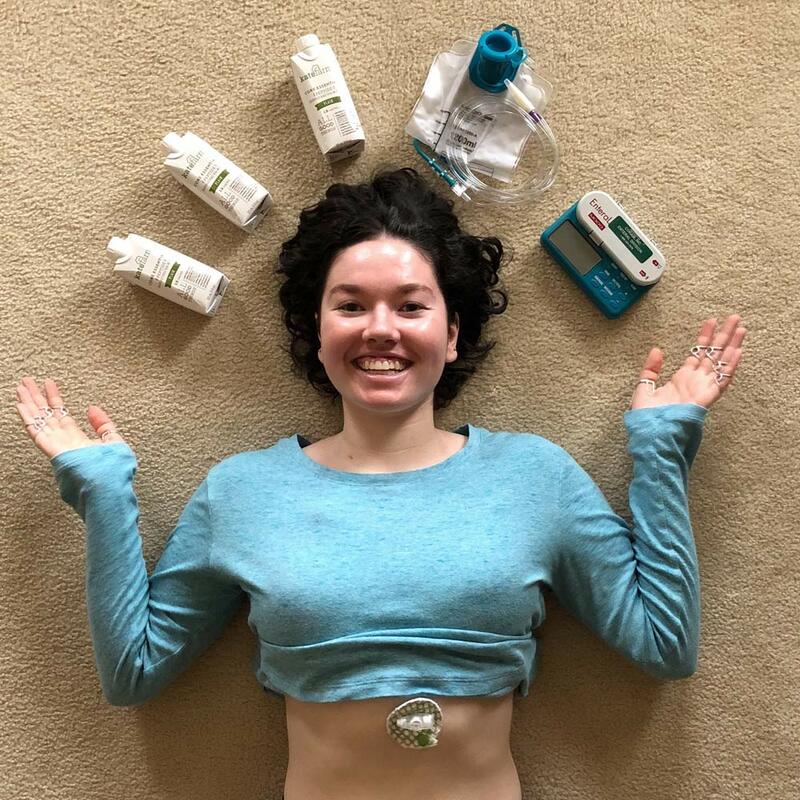 Burrell’s new symptoms were the byproduct of yet another comorbidity with EDS: gastroparesis, which slows down your stomach’s motility and affects digestion. “I really hit the jackpot with these three things,” laughs Burrell. After getting a G-J tube placed in September 2017, Burrell began to slowly heal, but her body soon rejected every run-of-the-mill formula she tried, leading to abdominal bloating, cramping, and general nastiness. 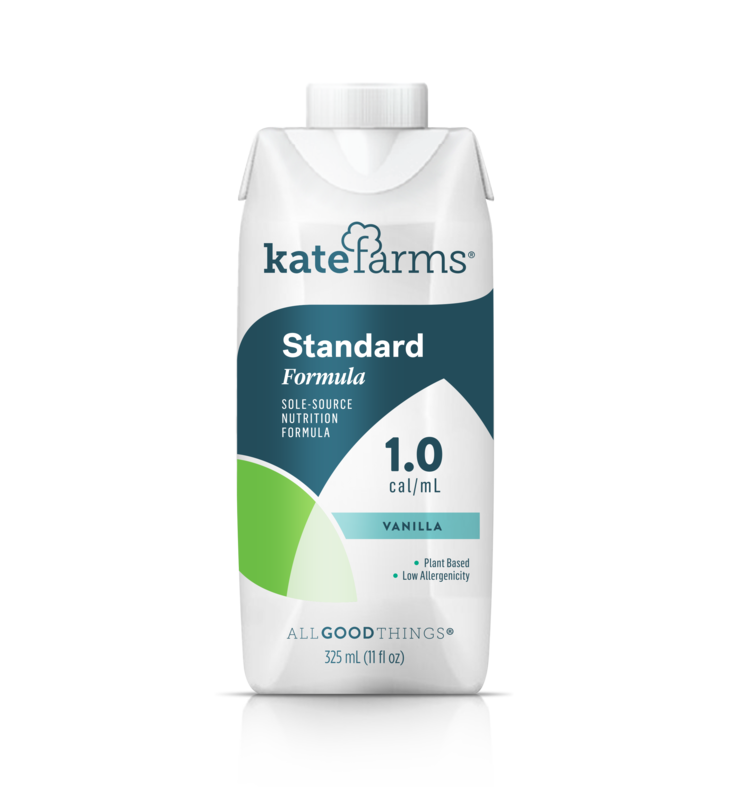 “I felt like I was just pumping myself full of food poisoning.” She needed to find a better formula, and when she saw another gastroparesis patient rave about Kate Farms’ Peptide 1.5 on Instagram, she wanted in. Burrell still isn’t able to eat many foods, save for the occasional cracker or Komplete shake. For the self-admitted foodie, this hasn’t been the easiest transition—“Thanksgiving was pretty tough,” she confesses—but she still finds plenty of joy in the social aspect of eating. “My tube hasn’t done anything to prohibit me from sitting down to dinner with my family and friends,” she says.